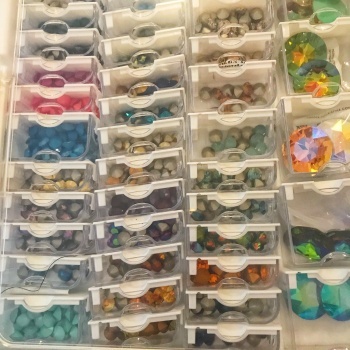 I’ve only had these Bead Storage Solutions boxes for a couple of weeks but they’re already indispensable! All occasions were for different projects and each time took me just seconds to do and I’m able to do it all at a single glance now whereas before I would have been rummaging through multiple large boxes filled with bags, boxes & tubes and I would have usually ended up buying more due to not being able to see & compare easily. Can you tell I’m happy with them?! ?